← I WAS THE CAT is out… tomorrow! I WAS THE CAT is out… TODAY!!! Yes! 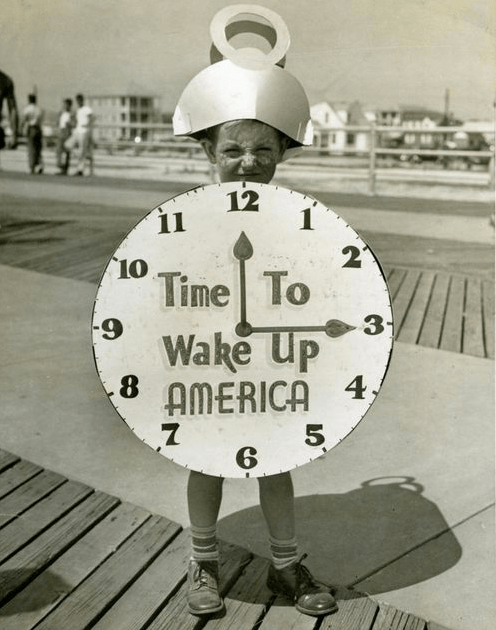 The day is finally here! Yes! 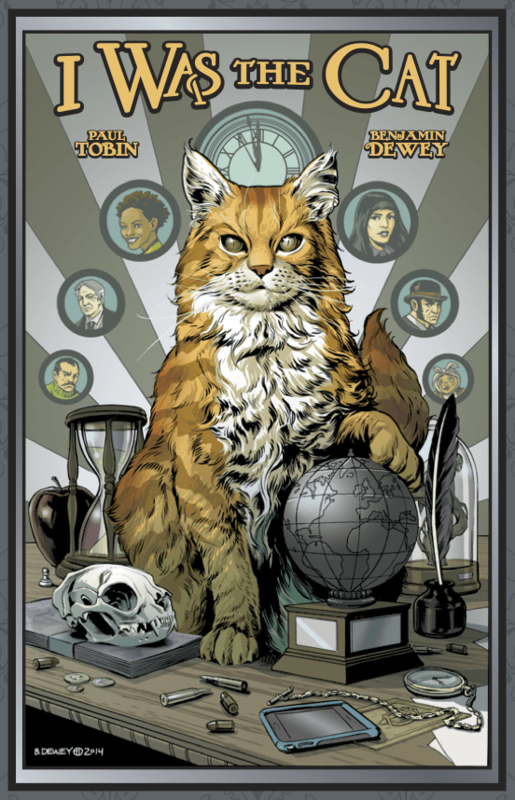 It’s finally time for the official release of I Was The Cat, a graphic novel that Benjamin Dewey and I spent a couple years of our lives on, and it was all worth it, because we are proud as hell of this beauty. 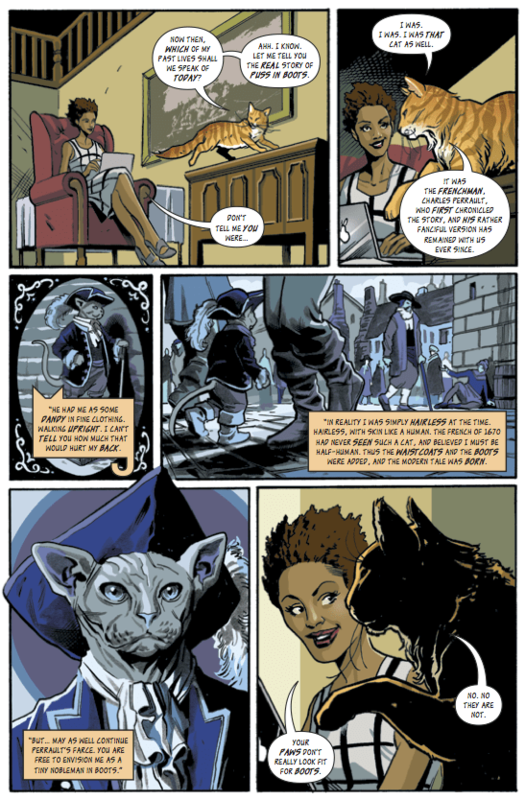 The story concerns Allison Breaking, a blogger who’s been hired to write the memoirs of the mysterious Burma, who turns out to be… a cat. 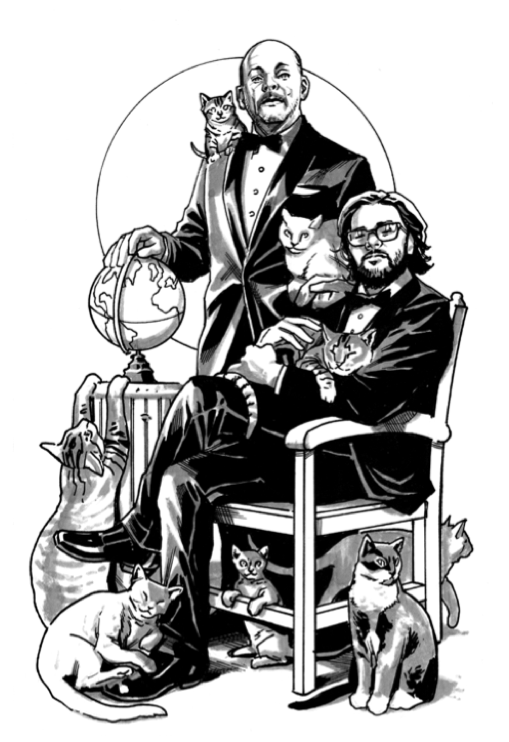 You know all those paintings of megalomaniacal rulers with cats on their laps, all the historical despots with cats? Yeah… well it turns out that all of those cats were Burma, leading past lives, trying to take over the world. HE was the true mastermind behind these kings and conquerors, but he failed each time, and paid for his failures with eight of his nine lives. And now, on his last life, he just wants to take it easy. Or DOES he…? That’s what Allison has to figure out as she records the tale of… I Was The Cat. You don’t have to love cats to enjoy I Was The Cat. I mean, sure… the main character IS a cat, but he’s kind of scary, when it comes right down to it. Burma speaking of one of his past lives. Allison, moments before the fateful meeting. Author photo of myself, Ben, and an assortment of lovingly despotic friends. 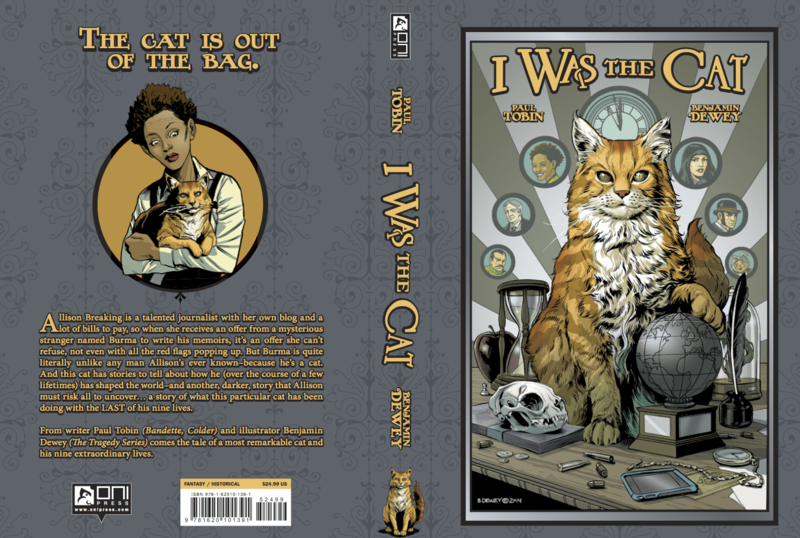 You can purchase I Was The Cat from a variety of places, but please try to frequent your local comic store, because they are the spine of this industry. Here’s the handy Comic Shop Locator service, if you’re not sure of your closest comic store’s location. 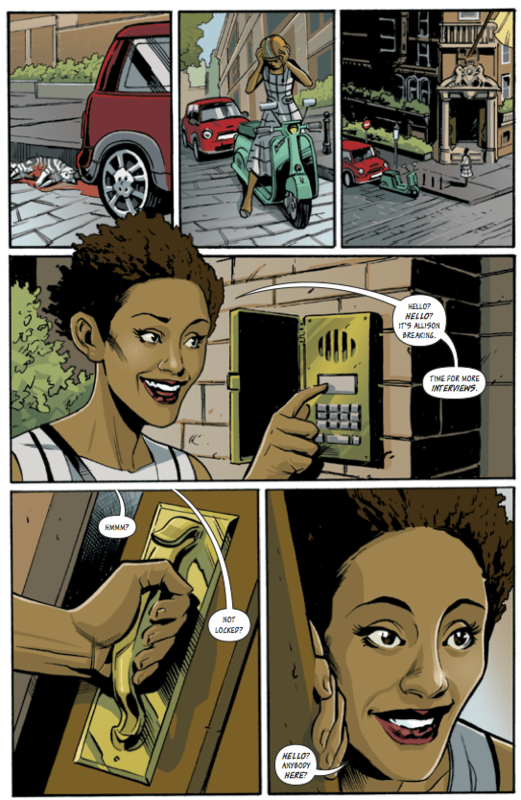 If you can’t get to a comic store, nab up a copy from online, such as from HERE. And, in closing… here’s Superman being terrified of a cat again.